This week the trend will be color, which really isn't challenging but still forced me to get a little crazy to avoid black and white at all costs (those were the unofficial rules for this theme). 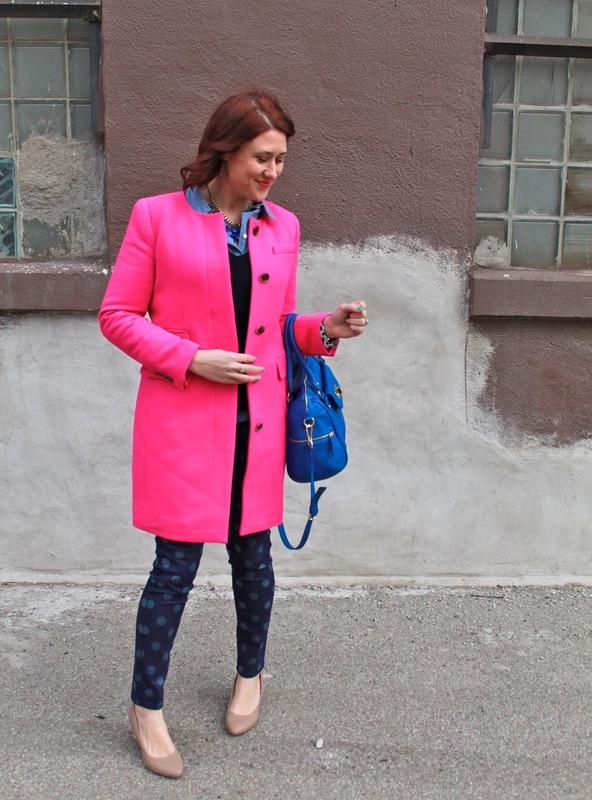 What better way to start a color-themed week then by introducing you to my new "vibrant Fuchsia" J Crew coat that after much searching I finally found on eBay! 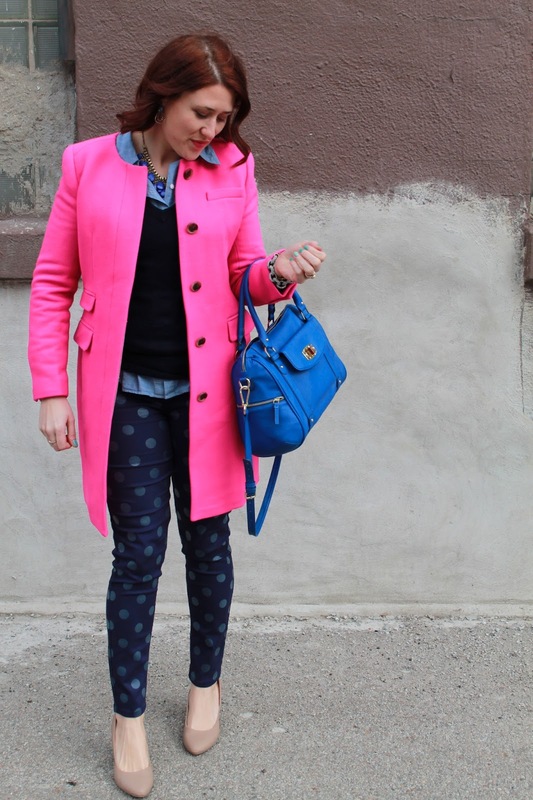 I mean how was this coat not mine since the moment it came out?! The coat may not have been yours when it first came out, but I bet it was a steal! It's the perfect pop of color! 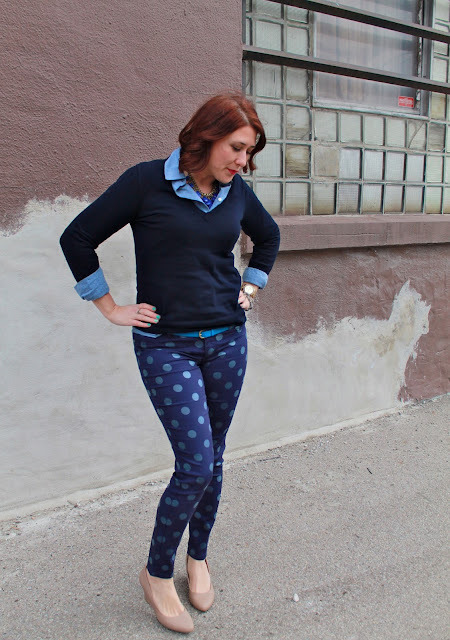 The polka dot denim is beyond amazing! Just so perfect to pair with nearly anything! What a great F21 find!! 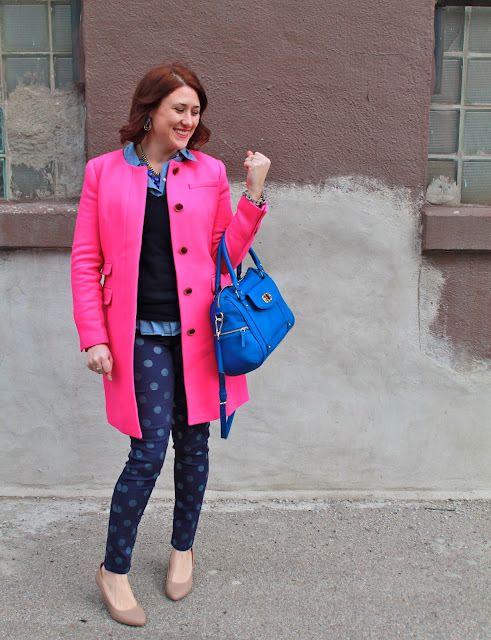 What a fun colour combination! 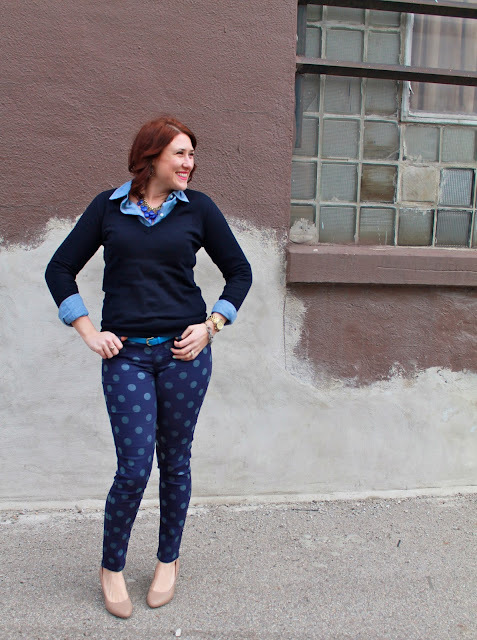 LOVE the pants!! Loving all the shades of blue. :) And all is right with the world now that you and that coat have been united. lol.